It took a potato farmer and an engineer from the San Luis Valley to build what became Wolf Creek Ski Area. Charles Elliott and Kelly Boyce initially installed a Model A engine to power the original rope tow in 1938. It blew up, and it took them another year to get the tow rope running again. Wolf Creek was going for good in 1939. 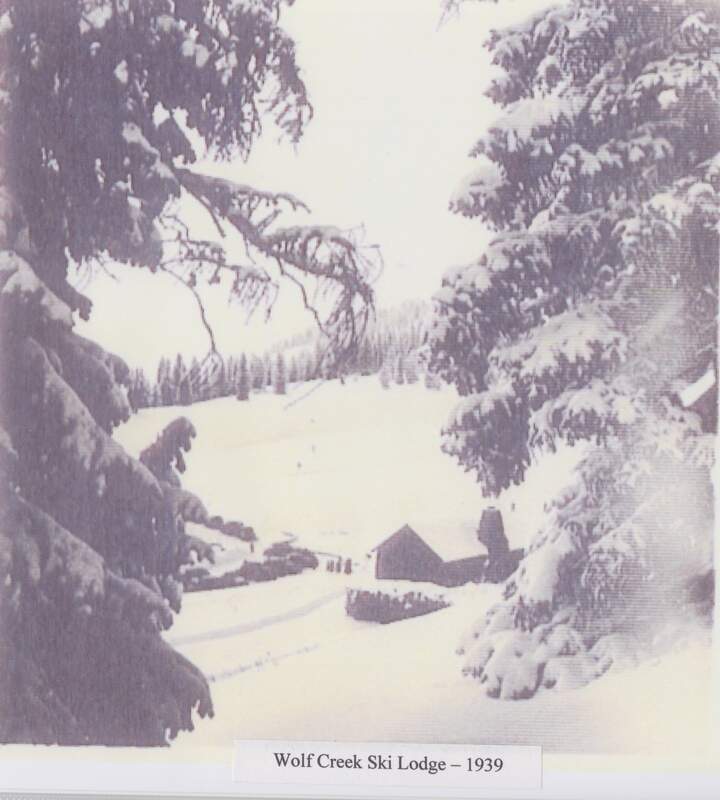 Wolf Creek is celebrating its 75th season anniversary this winter. A year ago, the ski area attracted 214,000 skier visits, said Rosanne Pitcher, Davey’s wife and Wolf Creek’s vice president of marketing and sales. Wolf Creek now has 400 employees at its seasonal peak and supports $4.5 million in annual payroll. Elliott, who lives in Monte Vista, returned last winter to celebrate his 100th birthday. Still fit, he took several runs. Elliott could not be reached for comment. Wolf Creek remains true to its founding ethos. It has no real-estate development and no overnight accommodations. 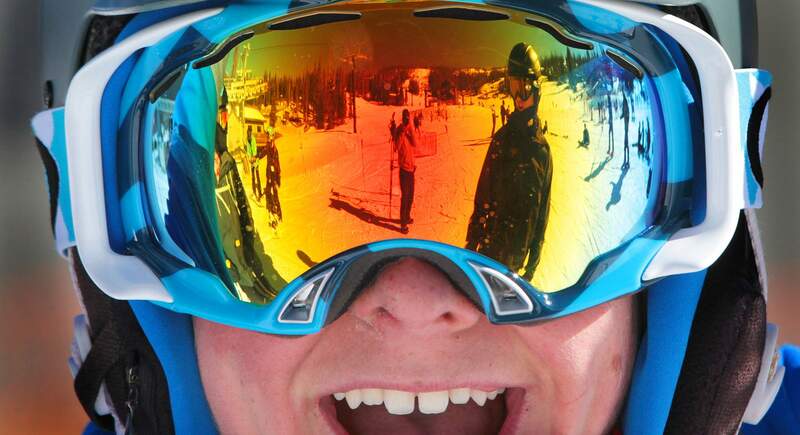 Lift tickets – $63 for adults – are cheaper than at many Colorado ski resorts. The cuisine aims to please a Colorado ski bum; a green chile cheeseburger and a tall can of beer may be your best bet. And then there’s the snow. Wolf Creek gets an annual average snowfall of 430 inches, a staggering figure that means gobs of powder await in places such as Step Bowl, the Waterfall area and Simpatico. When the Front Range is dry, skiers come here for powder. Wolf Creek tends to open earlier and close later than any nearby ski area. “Our mission is to provide a service to a clientele that is out to enjoy the mountain in its unfettered way,” Davey Pitcher said. Wolf Creek gets ample business from New Mexico, Texas and Oklahoma. Its remote location means it relies heavily on visitors more than locals in nearby towns of South Fork and Pagosa Springs. Wolf Creek always has been a haven for powder hounds. Davey Pitcher has little interest in racing or terrain parks. A repurposed ski lift will ease access this winter from the bottom of Alberta Lift to lower Navajo Trail, eliminating a transition for skiers. Pitcher endeavors to provide a good ski experience regardless of the conditions. Pitcher, 52, came into the ski business at his father’s side. Kingsbury Pitcher was a founder of what now is Ski Santa Fe. He built much of the infrastructure before selling it during the winter of 1983-84. Kingsbury Pitcher attended a 1976 Wolf Creek stockholder meeting after the Dallas partnership that owned Wolf Creek went bankrupt. He bought into the group that included Dallas Cowboys football player Ed “Too Tall” Jones and gradually bought out the other partners. (Kingsbury Pitcher still lives in Santa Fe). Davey’s older brother, Todd, moved from Big Sky in Montana to help operate Wolf Creek. Davey and Rosanne moved from Santa Fe, where they had met at the ski area. Davey had also worked in the construction industry. Davey Pitcher began helping part-time during summer 1980, and he moved to work at the mountain full-time in 1984. Davey Pitcher started out working as a groomer for his brother. “I just took over more and more responsibility as time went on,” he said. He awakes at 3 to 4 a.m. and heads to Wolf Creek from his home at Pagosa Lake, where he lives with Rosanne. Typically, he begins the day either grooming trails or reducing avalanche hazards. He hits the slopes almost every day during winter, troubleshooting his way across the mountain. At one stop, he asks about progress aligning the new chairlift. At the top of another chairlift, he asks, “What’s the count?” – how many skiers have come through. A sign at the base area reads, “No dogs,” but that doesn’t apply to Spencer, Pitcher’s black Labrador-border collie mix. Spencer is trained to ride the chairlifts. He hops up on Rosanne’s lap to board and launches off the chairlift at a sprint at the top. Pitcher has a strong, deep voice and the weathered face of someone who spends a great deal of time outdoors in a harsh climate. He says he’s not going anywhere. An earlier version of this story gave an incorrect number of skier visits during the 2013-14 season. 75 years skiing at Wolf Creek Wolf Creek Ski area celebrates 75 years of skiing. 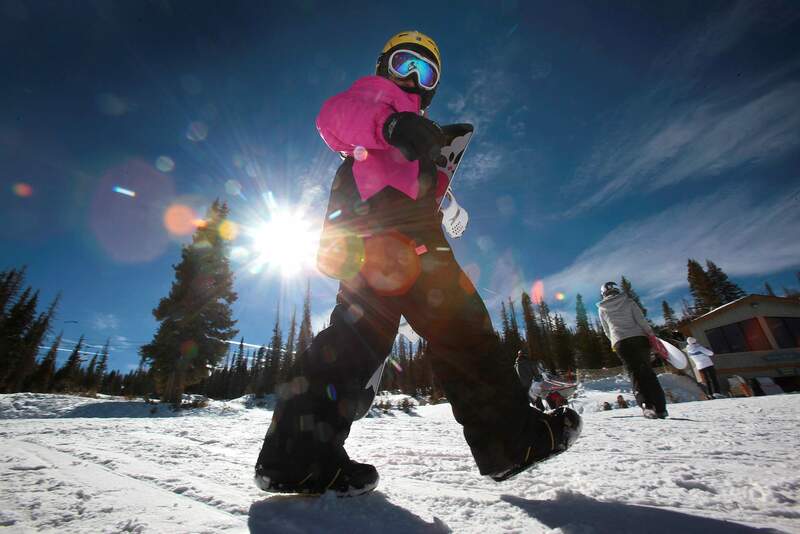 Wolf Creek Ski area celebrates 75 years of skiing. A 1939 photograph of the ski lodge at Wolf Creek ski area provided by the Del Norte Historical Society. A photograph of a ski race at Wolf Creek ski area from the 1960's courtesy of the Del Norte Historical Society. 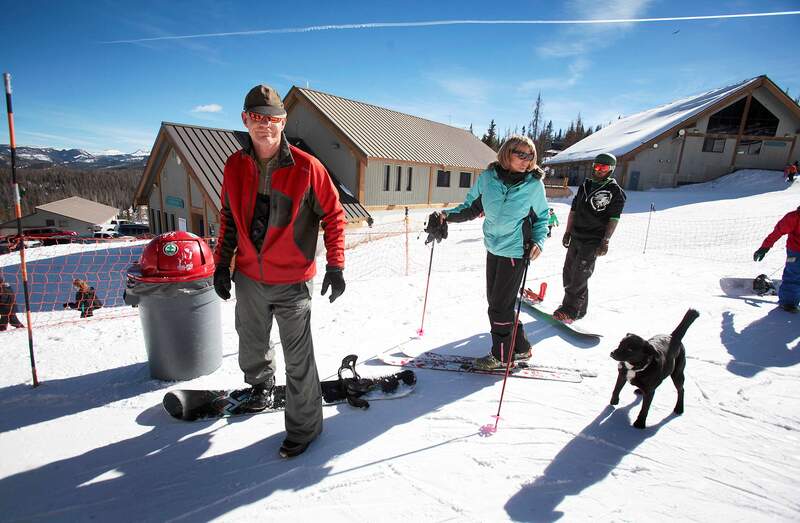 A sign at the Wolf Creek Ski Area base area reads: “No dogs,” but that doesn’t apply to Spencer, resort owners Davey and Rosanne Pitcher’s black Labrador-border collie mix. Spencer is trained to ride the chairlifts. He hops on Rosanne’s lap to board, then launches off the chairlift at a sprint at the top. Wolf Creek ski lodge seen in this 1939 photo. 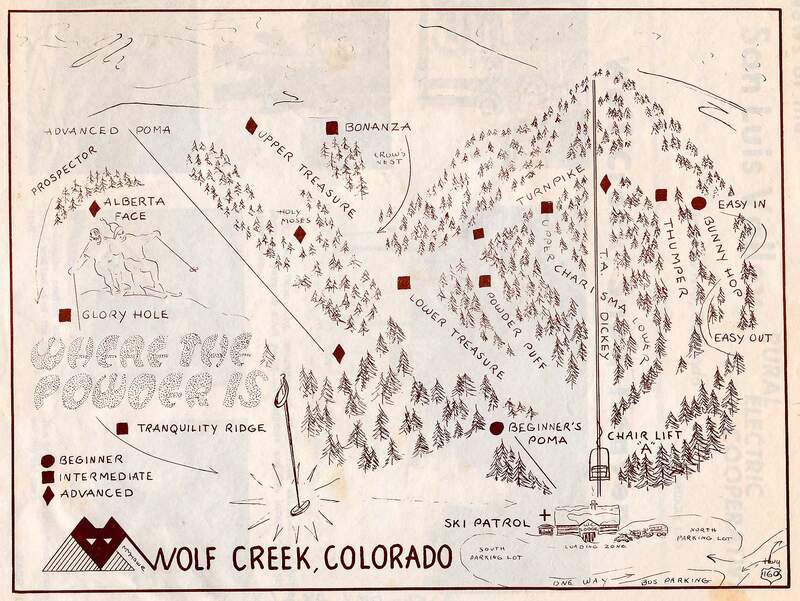 An early ski trail map of Wolf Creek Ski Area courtesy of Del Norte Historical Society. Kylie Anderson of Colorado Springs, the 7-year-old daughter of Aaron and Natalie Anderson, and her family celebrated their Thanksgiving holiday at Wolf Creek Ski Area, its 75th anniversary season. 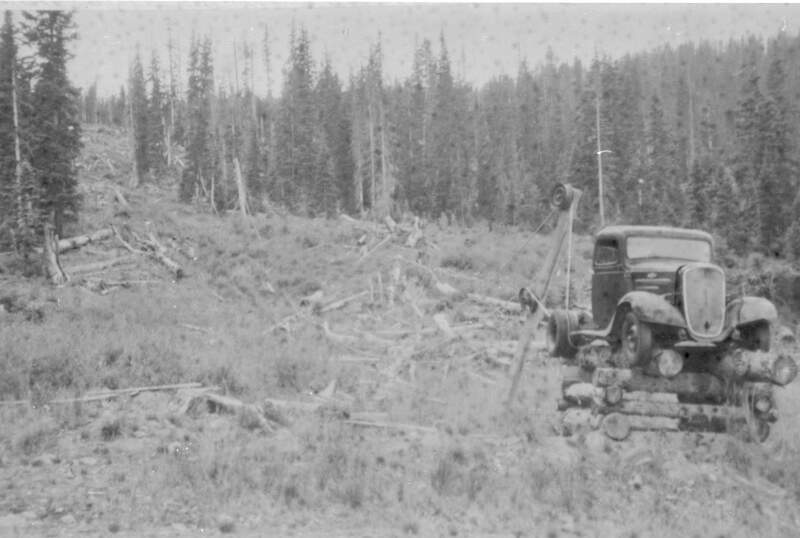 A historic photograph of a ski run at Wolf Creek Ski Area.